Dice the fresh watermelon up into bite-size bits. Then add them all to a large mixing bowl and drizzle with a tablespoon of the good quality olive oil. 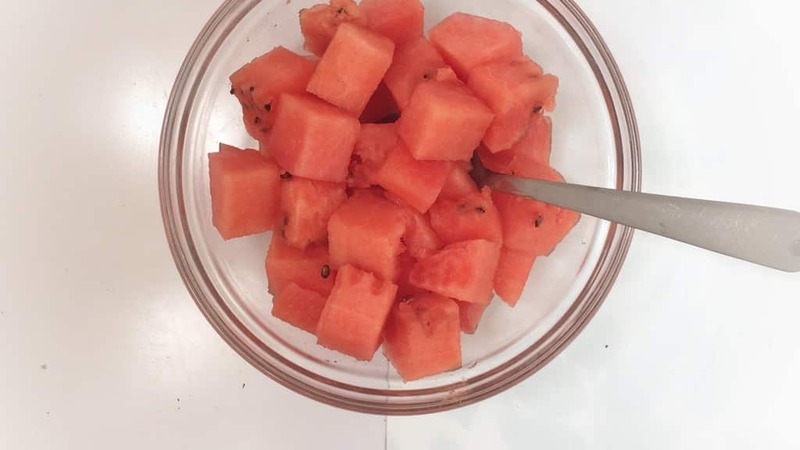 Then stir the diced watermelon well. 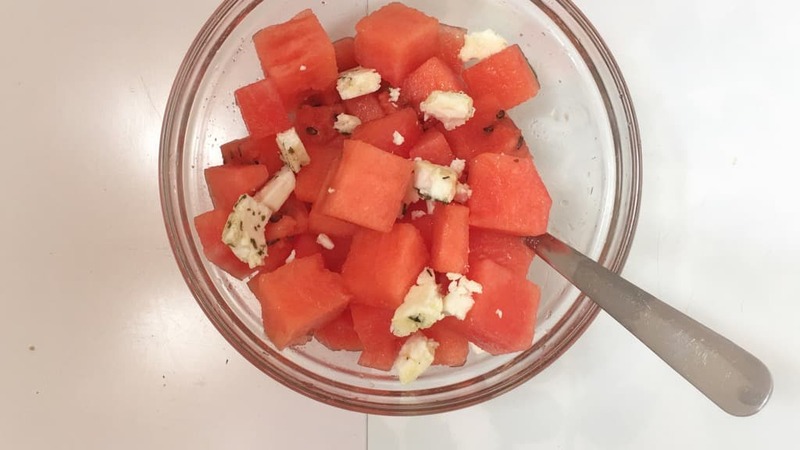 Crumble the feta cheese into smaller bits and add it to the bowl also. Stir the salad again. Chop the fresh cilantro up roughly and add it also. Then season the ingredients with a sprinkle of freshly ground black pepper. 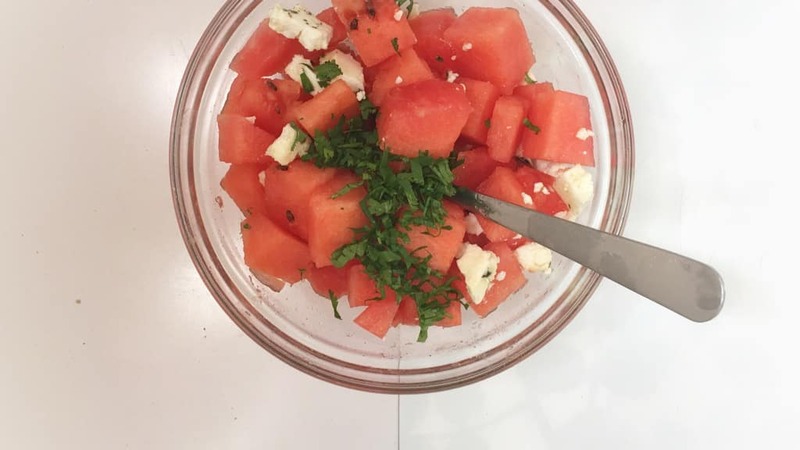 Stir the watermelon salad again. Place the salad in the fridge to chill for about 10 minutes. 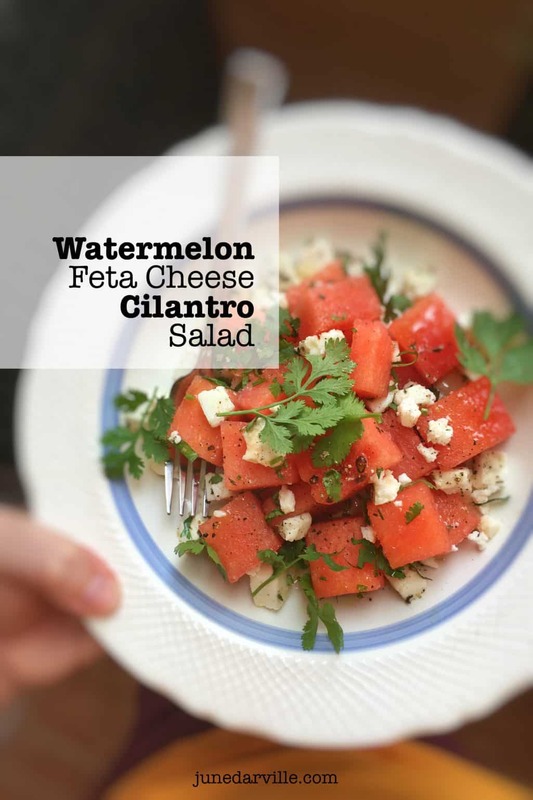 Then scoop the watermelon salad into deep plates. Sprinkle with extra olive oil if you like and serve cold.